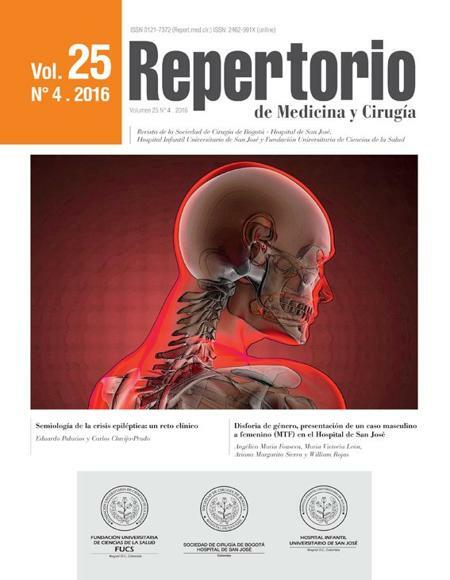 La epilepsia es una afección cerebral crónica caracterizada por crisis recurrentes, autolimitadas y de etiología diversa cuyas manifestaciones clínicas incluyen una variada gama de signos y síntomas en relación con las zonas corticales estimuladas, considerando y diferenciando adecuadamente la zona epileptogénica al igual que la sintomatogénica en el contexto claro del arte de la interpretación semiológica que reúne un adecuado conocimiento de las funciones corticales y el reconocimiento respectivo de lateralizadores y localizadores del foco epileptogénico, para determinar adecuadamente el tipo de epilepsia o síndrome epiléptico. El objetivo de este artículo es plantear de forma clara y concisa los hallazgos en la presentación clínica de las principales formas de epilepsia o síndromes epilépticos en relación con la función cortical por lóbulos, lo que nos permitirá una mayor introspección y habilidad en la práctica clínica en el diagnóstico rápido y oportuno. El diagnóstico de epilepsia depende de un número amplio de factores, particularmente detallados y precisos en la historia de las crisis o semiología. 1. Gibbs EL, Gibbs FA, Fuster B. Psychomotor epilepsy. Arch Neurol Psychiatry. 1948;60:331–9. 2. Berkovic SF, McIntosh A, Howell RA, Mitchell A, Sheffield LJ, Hopper JL. Familial temporal lobe epilepsy: A common disorder identified in twins. Ann Neurol. 1996;40:227–35. 3. Blume WT, Luders HO, Mizrahi E, Tassinari C, van Emde Boas W, Engel J Jr. Glossary of descriptive terminology for ictal semiology: Report of the ILAE task force on classification and terminology. Epilepsia. 2001;42:1212–8. 4. Fisher RS, Acevedo C, Arzimanoglou A, Bogacz A, Cross JH, Elger CE, et al. ILAE Official Report: A practical clinical definition of epilepsy. Epilepsia. 2014;55:475–82. 5. Fisher RS, van Emde Boas W, Blume W, Elger C, Genton P, Lee P, et al. Epileptic seizures and epilepsy: Definitions proposed by the International League Against Epilepsy (ILAE) and the International Bureau for Epilepsy (IBE). Epilepsia. 2005;46:470–2. 6. Semah F, Picot MC, Adam C, Broglin D, Arzimanoglou A, Bazin B, et al. Is the underlying cause of epilepsy a major prognostic factor for recurrence? Neurology. 1998;51:1256–62. 7. Engel J, McDermott MP, Wiebe S, Langfitt JT, Stern JM, Dewar S, et al. Early surgical therapy for drug-resistant temporal lobe epilepsy: A randomized trial. JAMA. 2012;307:922–30. 8. Alqadi K, Sankaraneni R, Thome U, Kotagal P. Semiology of hypermotor (hyperkinetic) seizures. Epilepsy Behav. 2016;54:137–41. 9. Foldvary N, Nashold B, Mascha E, Thompson EA, Lee N, McNamara JO, et al. Seizure outcome after temporal lobectomy for temporal lobe epilepsy: A Kaplan-Meier survival analysis. Neurology. 2000;54:630–4. 10. Loddenkemper T, Kotagal P. Lateralizing signs during seizures in focal epilepsy. Epilepsy Behav. 2005;7:1–17. 11. Foldvary-Schaefer N, Unnwongse K. Localizing and lateralizing features of auras and seizures. Epilepsy Behav. 2011;20:160–6. 12. Proposal for revised classification of epilepsies and epileptic syndromes. Commission on Classification and Terminology of the International League Against Epilepsy. Epilepsia. 1989;30:389–99. 13. Berg AT, Berkovic SF, Brodie MJ, Buchhalter J, Cross JH, van Emde Boas W, et al. Revised terminology and concepts for organization of seizures and epilepsies: Report of the ILAE Commission on Classification and Terminology, 2005-2009. Epilepsia. 2010;51:676–85. 14. Blümcke I. Neuropathology of focal epilepsies: A critical review. Epilepsy Behav. 2009;15:34–9. 15. Acharya V, Acharya J, Lüders H. Olfactory epileptic auras. Neurology. 1998;51:56–61. 16. Jan MM, Girvin JP. Seizure semiology: Value in identifying seizure origin. Can J Neurol Sci. 2008;35:22–30. 17. O’Brien TJ, Mosewich RK, Britton JW, Cascino GD, So EL. History and seizure semiology in distinguishing frontal lobe seizures and temporal lobe seizures. Epilepsy Res. 2008;82:177–82. 18. Blümcke I, Thom M, Aronica E, Armstrong DD, Bartolomei F, Bernasconi A, et al. International consensus classification of hippocampal sclerosis in temporal lobe epilepsy: A Task Force report from the ILAE Commission on Diagnostic Methods. Epilepsia. 2013;54:1315–29. 19. Fisher RS, Acevedo C, Arzimanoglou A, Bogacz A, Cross JH, Elger CE, et al. ILAE official report: A practical clinical definition of epilepsy. Epilepsia. 2014;55:475–82. 20. Engel J. Report of the ILAE classification core group. Epilepsia. 2006;47:1558–68. 21. Engel J, International League Against Epilepsy (ILAE). A proposed diagnostic scheme for people with epileptic seizures and with epilepsy: report of the ILAE Task Force on Classification and Terminology. Epilepsia. 2001;42:796–803. 22. Tuxhorn IE. Somatosensory auras in focal epilepsy: A clinical, video EEG and MRI study. Seizure. 2005;14:262–8. 23. Zerouali Y, Ghaziri J, Nguyen DK. Multimodal investigation of epileptic networks: The case of insular cortex epilepsy. Prog Brain Res. 2016;226:1–33. 24. Mosewich RK, So EL, O’Brien TJ, Cascino GD, Sharbrough FW, Marsh WR, et al. Factors predictive of the outcome of frontal lobe epilepsy surgery. Epilepsia. 2000;41:843–9. 25. Elsharkawy AE, Alabbasi AH, Pannek H, Schulz R, Hoppe M, Pahs G, et al. Outcome of frontal lobe epilepsy surgery in adults. Epilepsy Res. 2008;81:97–106. 26. Bonini F, McGonigal A, Trébuchon A, Gavaret M, Bartolomei F, Giusiano B, et al. Frontal lobe seizures: From clinical semiology to localization. Epilepsia. 2014;55:264–77. 27. So NK. Mesial frontal epilepsy. Epilepsia. 1998;39 Suppl 4:S49–61. 28. Bonelli SB, Lurger S, Zimprich F, Stogmann E, Assem-Hilger E, Baumgartner C. Clinical seizure lateralization in frontal lobe epilepsy. Epilepsia. 2007;48:517–23. 29. Kotagal P, Arunkumar GS. Lateral frontal lobe seizures. Epilepsia. 1998;39 Suppl 4:S62–8. 30. Brodtkorb E, Picard F. Tobacco habits modulate autosomal dominant nocturnal frontal lobe epilepsy. Epilepsy Behav. 2006;9:515–20. 31. Williamson PD, Spencer DD, Spencer SS, Novelly RA, Mattson RH. Complex partial seizures of frontal lobe origin. Ann Neurol. 1985;18:497–504. 32. Laskowitz DT, Sperling MR, French JA, O’Connor MJ. The syndrome of frontal lobe epilepsy: Characteristics and surgical management. Neurology. 1995;45:780–7. 33. Proserpio P, Cossu M, Francione S, Tassi L, Mai R, Didato G, et al. Insular-opercular seizures manifesting with sleep-related paroxysmal motor behaviors: A stereo-EEG study. Epilepsia. 2011;52:1781–91. 34. Hall DA, Wadwa RP, Goldenberg NA, Norris JM. Maternal risk factors for term neonatal seizures: Population-based study in Colorado, 1989-2003. J Child Neurol. 2006;21:795–8. 35. Bautista RE, Spencer DD, Spencer SS. EEG findings in frontal lobe epilepsies. Neurology. 1998;50:1765–71. 36. Bandt SK, Werner N, Dines J, Rashid S, Eisenman LN, Hogan RE, et al. Trans-middle temporal gyrus selective amygdalohippocampectomy for medically intractable mesial temporal lobe epilepsy in adults: Seizure response rates, complications, and neuropsychological outcomes. Epilepsy Behav. 2013;28:17–21. 37. Sadler RM. The syndrome of mesial temporal lobe epilepsy with hippocampal sclerosis: Clinical features and differential diagnosis. Adv Neurol. 2006;97:27–37. 38. Erickson JC, Clapp LE, Ford G, Jabbari B. Somatosensory auras in refractory temporal lobe epilepsy. Epilepsia. 2006;47:202–6. 39. Henkel A, Noachtar S, Pfänder M, Lüders HO. The localizing value of the abdominal aura and its evolution: A study in focal epilepsies. Neurology. 2002;58:271–6. 40. Leung H, Schindler K, Clusmann H, Bien CG, Pöpel A, Schramm J, et al. Mesial frontal epilepsy and ictal body turning along the horizontal body axis. Arch Neurol. 2008;65:71–7. 41. Schulz R, Lüders HO, Noachtar S, May T, Sakamoto A, Holthausen H, et al. Amnesia of the epileptic aura. Neurology. 1995;45:231–5. 42. Falco-Walter JJ, Stein M, McNulty M, Romantseva L, Heydemann P. ‘Tickling’ seizures originating in the left frontoparietal region. Epilepsy Behav Case Rep. 2016;6:49–51. 43. Kim DW, Sunwoo JS, Lee SK. Incidence and localizing value of vertigo and dizziness in patients with epilepsy: Video-EEG monitoring study. Epilepsy Res. 2016;126:102–5. 44. Tsurusawa R, Ohfu M, Masuzaki M, Inoue T, Yasumoto S, Mitsudome A. A case of parietal lobe epilepsy with ictal laughter. No To Hattatsu. 2005;37:60–4. 45. Sasaki F, Kawajiri S, Nakajima S, Yamaguchi A, Tomizawa Y, Noda K, et al. Occipital lobe seizures and subcortical T2 and T2* hypointensity associated with nonketotic hyperglycemia: a case report. J Med Case Rep. 2016;10:228. 46. Marchi A, Bonini F, Lagarde S, McGonigal A, Gavaret M, Scavarda D, et al. Occipital and occipital plus epilepsies: A study of involved epileptogenic networks through SEEG quantification. Epilepsy Behav. 2016;62:104–14. 47. Yilmaz K, Karatoprak EY. Epilepsy classification and additional definitions in occipital lobe epilepsy. Epileptic Disord. 2015;17:299–307. 48. Fischer DB, Perez DL, Prasad S, Rigolo L, O’Donnell L, Acar D, et al. Right inferior longitudinal fasciculus lesions disrupt visual-emotional integration. Soc Cogn Affect Neurosci. 2016;11:945–51. 49. Hartl E, Rémi J, Noachtar S. Two patients with visual aura — migraine, epilepsy, or migralepsy? Headache. 2015;55:1148–51. 50. Gregory AM, Nenert R, Allendorfer JB, Martin R, Kana RK, Szaflarski JP. The effect of medial temporal lobe epilepsy on visual memory encoding. Epilepsy Behav. 2015;46:173–84.